The crowd roars and a bell rings to mark the start of the match. 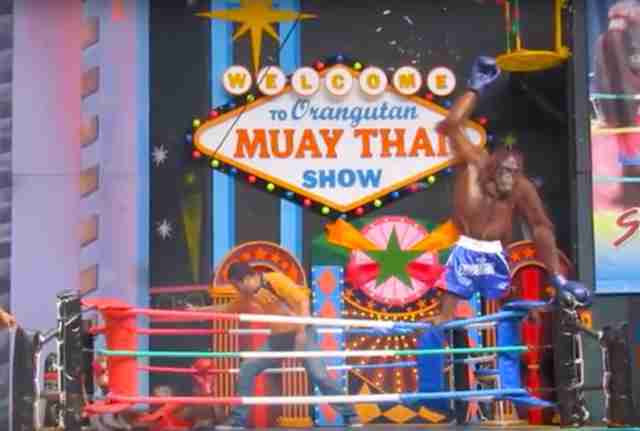 The boxers run around the ring in circles, pummeling one another with their oversized gloves until one opponent eventually flops to the ground in defeat. Dancers in skimpy bikinis twirl and jump around on the sidelines as loud music plays to celebrate the winner. 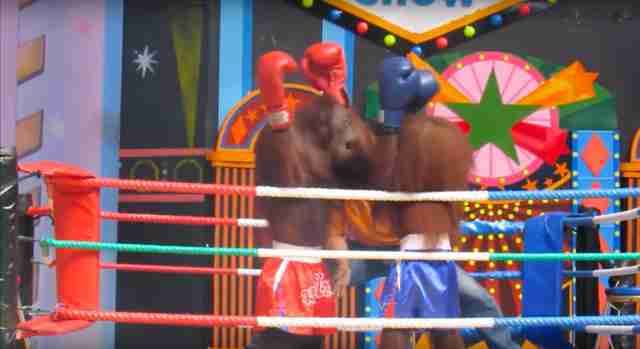 It might sound like a typical weekend boxing match — but at Bangkok Safari World in Thailand, the performers are all orangutans. Over the past few years, multiple tourist videos have surfaced featuring the cruel shows, with the most recent being posted just a few days ago. 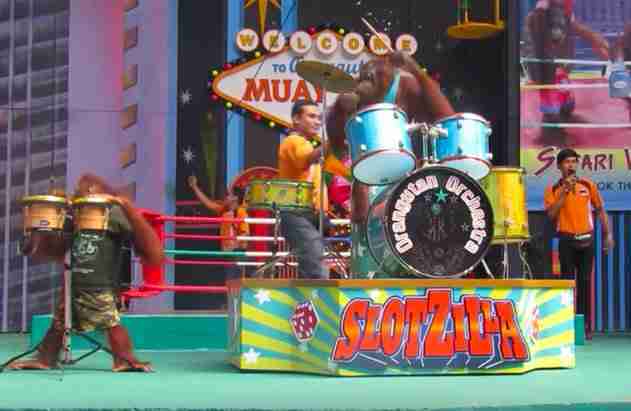 Before the 30-minute show begins, the apes are typically made to fly down to the stage from the rafters on a zipline and “play” in a band with instruments. 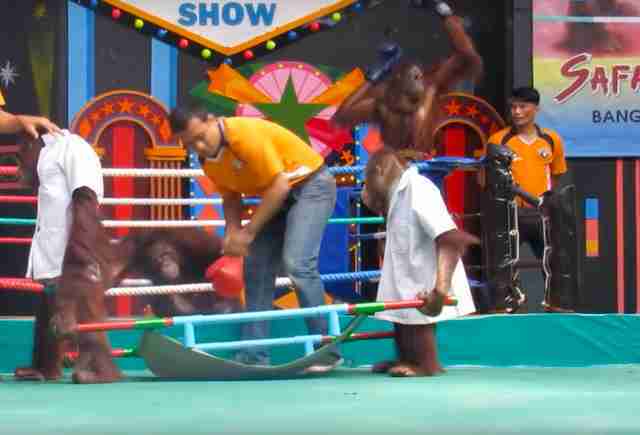 As two orangutans “box” one another, another group of apes above the ring appears to throw trash down onto them. All are dressed in human clothing. In the wild, orangutans are arboreal animals who scale trees for miles. They’re also solitary as adults — which makes the loud shows highly stressful for the animals. 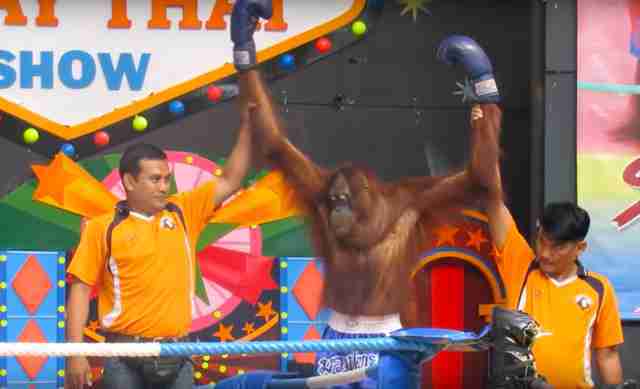 As with many zoos in Thailand, it’s likely the orangutans were caught from the wild, Key said. In the process, most mother orangutans are killed to make it easier for poachers to take their baby. The babies are then sold on the black market to zoos or to residents as pets. All three species of orangutan are critically endangered due to a blend of habitat destruction and poaching. Founded in 1988, Safari World calls itself a “world of happiness” on its website — but animal advocates from around the world are campaigning against it, saying its treatment of animals is anything but happy. 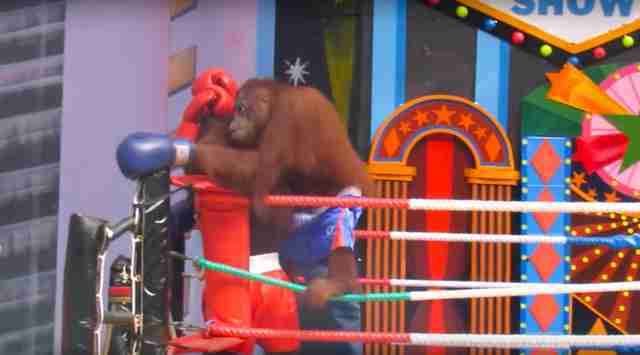 An online petition started two months ago already has thousands of signatures urging the zoo to put a halt to the show. Until then, Key urges people to never support organizations that force animals to perform in shows. To help stop the shows, you can sign this online petition. 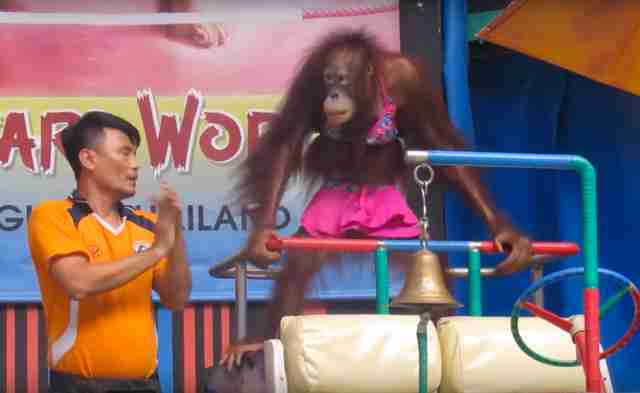 To help more orangutans in captivity, you can make a donation to International Animal Rescue.